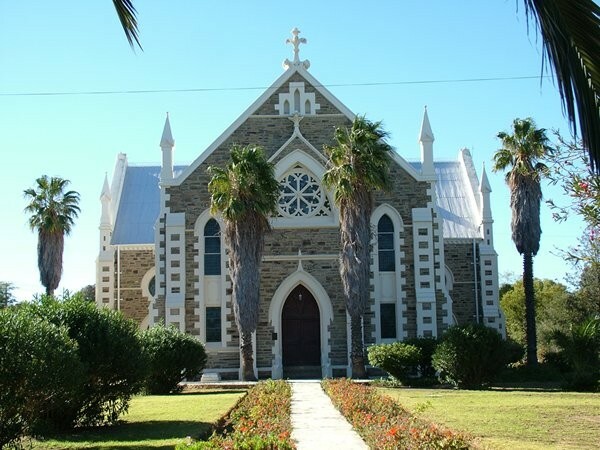 The Dutch Reformed church in Jansenville has an unusual external Bell-Tower complete with bell that is rung to this day. 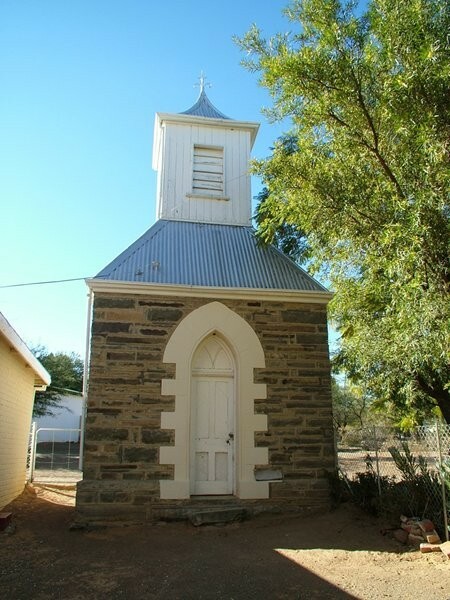 The tower is typically Victorian styled complete with plaster quoins. The organ replaced the original organ that is still in perfect condition and can be seen in the church. The new organ pipes are decorated with gold-leaf motifs that add and complement the character of the building. The clock from the same period was to be found in all Government buildings in the past. 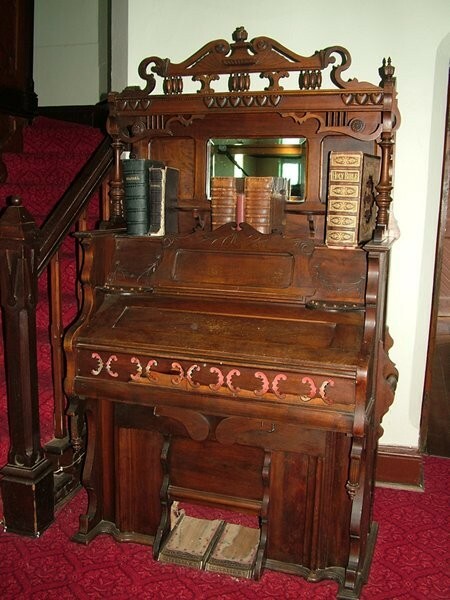 The architects and builders of the Victorian era were proud of their designs and craftsmanship. The smallest of detail was of prime importance. An example is the cast-iron drain pipe support bracket. Their finishes were superb. The wood carving around the pulpit, although simple in design, was carefully crafted. The different woods creating an appealing contrast of the many colors. 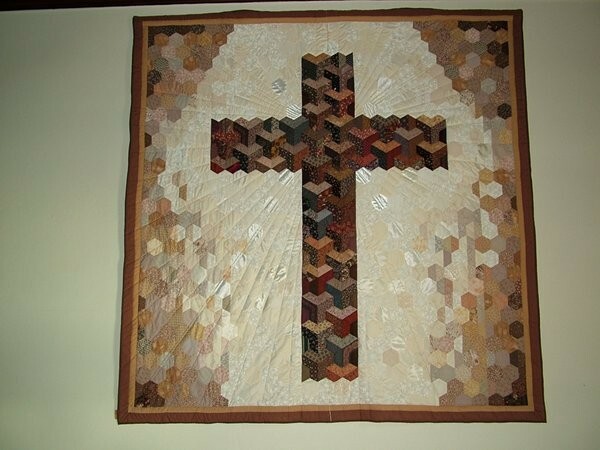 The patchwork tapestry Cross was painstakingly stitched by members of the congregation. 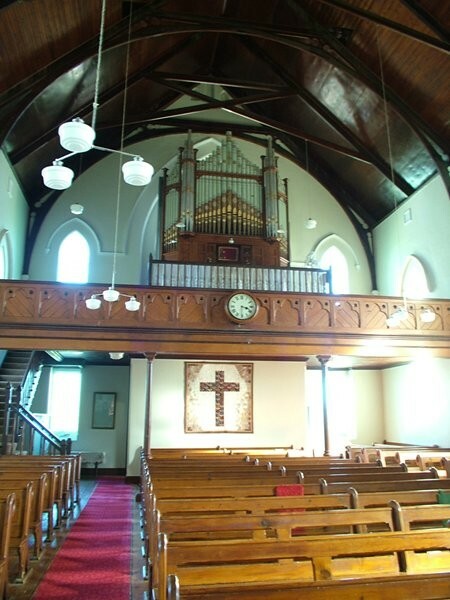 It has become a large focal feature in the church, and much admired by visitors. The silver plate jug, chalice, offertory tray, with individual glasses. 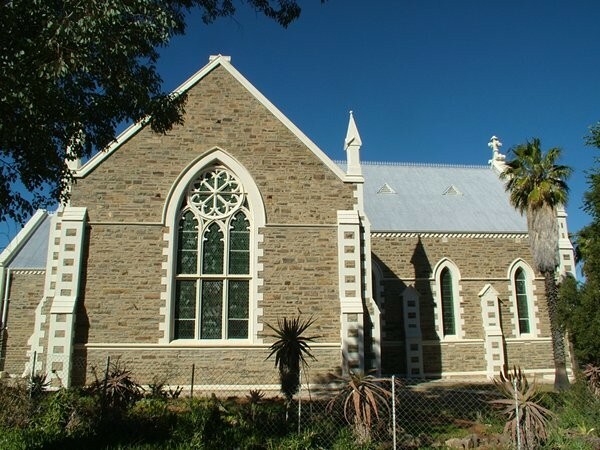 Most NG Kerk and Methodist churches have a similar collection. The Anglican church uses the chalice for the "taking of the wine". The famous Bible, kept under glass, is rumored to be the oldest or one of the oldest Dutch Bibles in the country. 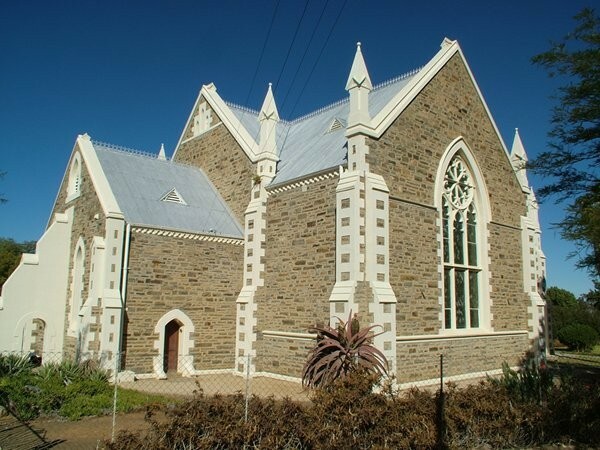 The Fourie family history in South Africa is written up on the facing page. Enter Jansenville over the bridge and at the 4 way stop in the middle of town turn left into Main Street. The church is on the right past the first block of shops. 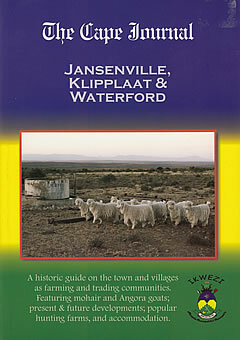 Enter Jansenville on the R75 and at the 4 way stop in the middle of town turn right into Main Street. The church is on the right past the first block of shops.